After yesterday's announcement of Jurassic World coming to Hollywood, what is in store for the rides Florida counterpart? 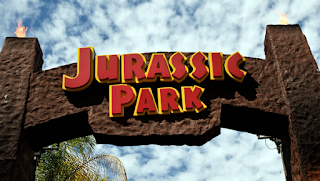 Universal Studios Florida rumors are all over the place now more than ever, and Jurassic Park River Adventure at Islands of Adventure is at the center of those rumors. Will the ride receive a similar makeover to the Hollywood ride? 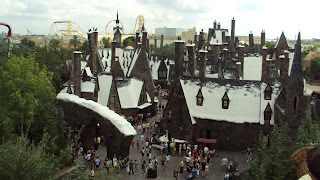 With Universal's attendance numbers skyrocketing since the Harry Potter expansions in both Florida and Hollywood, and many more ideas from books and movies that could be brought to life regarding the franchise, it is just a matter of time before the Harry Potter World is expanded on more. So, will we see a transformation of Jurassic Park into Jurassic World, or something entirely different put in it's place? Some sources point towards Universal Studio's new 4th park including "Jurassic World" as one of the new themed lands, will this render a complete removal of the "Island" from Islands of Adventure? Removal of this land from the park creates multiple new expansion opportunities for the J.K. Rowling franchise in the existing space, and we all know Universal has not been shy about getting rid of its classics. What would you do, put this new Harry Potter land into a new rumored park? Or place it right next to an existing Potter-themed land? Both make sense, it gets guests into a new park, but it keeps it cohesive and more immersive to keep them all connected. You can also bring Fantastic Beasts into play, which fits in to a new theme park much better than Potter because the time-frame and characters are different. Jurassic Park is just about the same size as the Current IOA Harry Potter Land, which leaves space for multiple E-ticket attractions. Current Harry Potter land in Red, Jurassic Park in Blue. There are also the rumors from "Inside Universal" forums that say the old Discovery Trail buildings inside the Jurassic Park section may be demolished, according to new permits. With this area being changed inside Jurassic Park, we could see a new attraction and the entire area be transformed into "Jurassic World" beginning 2020. At this time the new Harry Potter coaster is drawing crowds to the park, allowing the transformation to take place. The foliage is correct and the rides would need minimal makeover, even cutting off access through those pathways wouldn't be necessary as the change could be done section through section. Possibly Harry Potter then expands in the other direction towards The Lost Continent? Time will tell. What direction do you think Universal is headed? I think we are at least 6-7 years off before Jurassic Park is touched. They can still makeover rides and get enough of the new life span out of them. I do see the oldness growing in the lost continents section and i see the harry potter going that way. And a new potter show? That is taking out two "shows" and they need full flege show in the park as its the last one left. I wish the bike show was back in Toon Lagoon. A potter show with actual effects could be INCREDIBLE.